As petrochemical projects ramp up or start up in 2017 and 2018 across the globe, disruptions are still likely in construction and the distribution of final products. We were among the first to warn about this in our 2013 study, Preparing for a Changing Petrochemical Supply Landscape, and in our 2014 report, Exploiting Big Bang Disruption in the Chemicals Industry. Chemical companies that fail to proactively take measures and collaborate with logistics providers and government officials will likely feel the most impact of disruption. 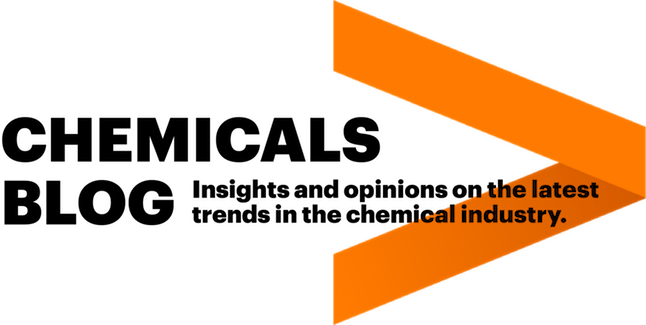 Source: Accenture Research analysis of Capital IQ data of 58 companies worldwide; cash based on data from 28 integrated oil and gas companies. The problem could intensify as the economic bases for new investment remain attractive with further energy development in the United States (US), and the prospects look positive for higher economic growth over the next few years. As outlined in a past blog,1 integrated oil companies tend to shift capital towards more economically appealing areas in their portfolios during oil price downturns. Figure 1 shows the return on sales (RoS) for each major petro-sector: oil and gas, refining and petrochemicals. Petrochemicals have outperformed the other two sectors over the past two years. The figure also shows the significant cash levels of integrated oil companies. It would not be surprising, therefore, to see more projects in refining and petrochemicals announced in the near term, particularly for North America. Unfortunately, the chemical industry is in a weak position with respect to its buying power with suppliers of goods and services that are critical to starting up plants and distributing rising output. Figure 2 shows the importance of chemical manufacturing to its service suppliers in the Texas region. Particularly crucial to smooth plant building and operations are labor, construction and truck transportation. However, the chemical industry only accounts for four to six percent of the business of those suppliers. Water transportation (barge, tanker, container shipping, etc.) is higher, but chemicals still only account for 11 percent of water transportation revenue. Also, the relatively low share of the labor pool can impact the level of government support. Therefore, the industry needs to work particularly hard in getting the attention of these entities to help ensure that appropriate investments (in infrastructure, equipment, packaging capacity, storage yards, etc.) and policies are put in place to accommodate the new, massive levels of capacity. Source: Accenture Research analysis of data from: Center for Transportation Analysis; Texas Workforce Commission; U.S. Census Annual Survey of Manufactures; and US Bureau of Economic Analysis. All data are for 2015, except labor, which is for 2014. The first potential disruption is related to construction and engineering itself, with the plethora of projects now occurring across the globe, as shown in Figure 3, which covers 79 top petrochemicals and polymers, by capacity volume. North America trails just behind China and the rest of Asia in the amount of total new petrochemical capacity under construction. This is burdening engineering firms, equipment providers and machinery suppliers as they struggle to meet orders. Delays in engineering tend to impact construction performance and timing. Source: Accenture Research analysis of capacity changes (additions/shutdowns) for 79 major petrochemicals and polymers, worldwide, from ICIS Consulting Supply and Demand database, including speculative changes. Indeed, some delays and/or cost increases have already occurred, related to weather, infrastructure and utility issues, mechanical issues, labor cost increases, underestimates of material needs, worker training and safety. Some reports indicate there can be huge delays on just the roads to get on and off plant construction sites—a detriment in competing for the precious few numbers of skilled workers. However, Port Houston is the only major US port lacking a transportation corridor for manufacturers to get fully-loaded containers directly to the port.7 In other words, containers are being filled with less resin than they can hold due to road weight restrictions. Existing roads need to move from truck weight capacities of 84,000 pounds to capacities of more than 95,000 pounds. On the flip side, fully-loaded containers may restrict the TEU numbers that a container ship can carry (as it may reach its tonnage limit before reaching its container number limit). Carriers (ships) can bring more containers to the Houston area; however, the main source for US Gulf Coast containers is Latin America, and there is a cost associated with moving containers to Houston, which would factor into total freight cost. Container lines also need assurance of the amount and timing of container shipments to properly serve the industry. Disruptions associated with tendering chemical tankers around the Houston Ship Channel, potentially high transit levels through the Panama Canal and further hydrocarbon gas (LNG, LPG, ethane, propane) exports may also occur. And Houston’s reputation for high levels of fog around the ship channel will not help. Extend industry stewardship to the greater ecosystem of all supplying/serving industries, increasing transparency and communication, and sharing in their challenges, such as attracting talent and supporting needed legislation. Organize with local trade associations and/or government to capture needed quantitative data that clearly shows bottlenecks. This would help identify areas of focus to smooth plant construction and operations. Adopt technologies that facilitate the administration of large and complex processes in construction, plant operations and supply chain management to create effective and resilient business models. One example is document management systems (DMS) that connect various data sources and manage the entire lifecycle of engineering and project documents per industry standards. Link sales and operations planning (S&OP) to resin packagers, truckers and ship operators in order to bring visibility and flexibility to the supply chain. Collaborate with packagers to help ensure the proper investments are made in the appropriate locations and timeframes, since large amounts of exported resin will be handled by third party packagers. Be open-minded in finding new, improved solutions with construction companies, such as modular construction or new contracting models. Similarly, be open-minded to developing game-changing distribution flows, such as using dry bulk shipping of resins or supporting the development of the Texas A&M Freight Shuttle System, a driverless freight moving innovation. Tap into workforces with availability, such as in Australia, which recently completed a wave of capital projects in the resources industries and now has a surplus of skilled workers. Bjacek, Paul. “The crunch – Low oil price effects on chemicals,” Accenture, February 4, 2015, https://www.accenture.com/us-en/blogs/blogs-the-crunch-low-oil-price-effects-on-chemicals (accessed February 6, 2017). 2017 survey by The Associated General Contractors of America (AGC). TEU stands for twenty-foot equivalent unit, a measure used for capacity in container transportation. Bjacek, Kim, Geiger, Insogna, Olson. 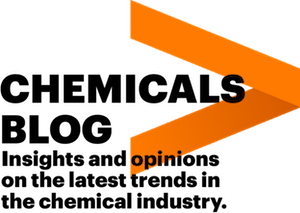 “Chemical industry: Navigating US supply chain disruptions,” Accenture, 2017, https://www.accenture.com/us-en/insight-navigating-us-supply-chain-disruptions (accessed March 6, 2017). Port Terminal Railroad Association (PTRA) presentation at the Port Houston Resin Symposium, January 2017. Rivero, Hector. “Texas Port Transportation Corridors - Critical for Industry Economic Success,” Texas Chemical Council, http://www.txchemcouncil.com/ (accessed February 6, 2017). Esposito, Frank. “Preparing to ship PE during a resin boom,” Plastics News, October 18, 2016, http://www.plasticsnews.com/article/20161018/NEWS/161019841/preparing-to-ship-pe-during-a-resin-boom (accessed February 6, 2017).